Dump out your ice cube tray. 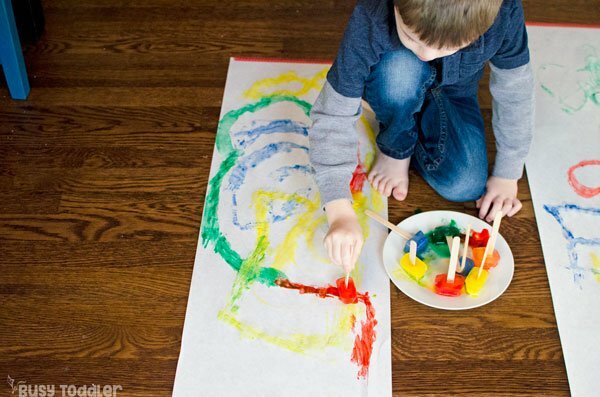 You have to try Frozen Paint immediately. Frozen paint, people, and not like “Let it Go! Let it Go!” type frozen. Actual frozen – slowed down molecules and all that good science stuff. 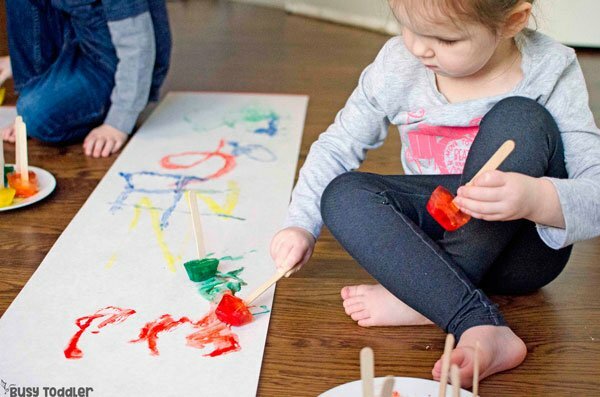 Frozen paint was a dream boat of an activity – the kind of art activity you could do almost as many times as you’ve done Frozen. See what I did there? 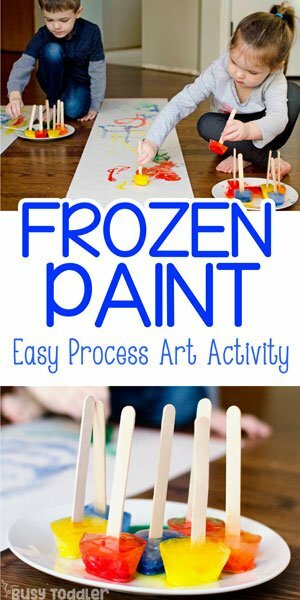 This frozen paint activity is “process art” – that’s a fancy way of saying “there was no end goal”. My kids could just paint as they pleased. 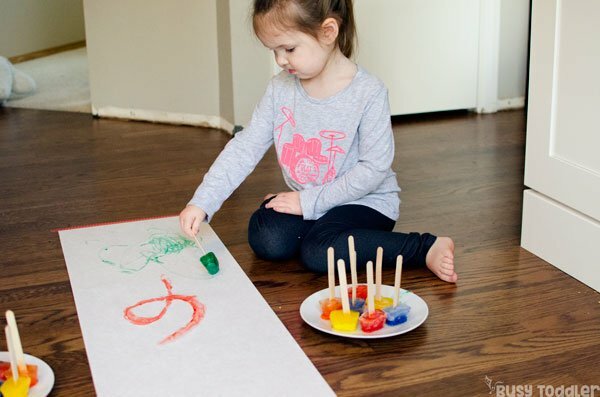 But for just a little added fun, I changed things up a bit with this art activity. But first, the easy set up. Frozen paint is NOT hard to make. It’s literally just frozen paint. I grabbed my ice cube tray and filled each hole about half way with paint. Topped it with water, stirred, then covered the tray with foil. 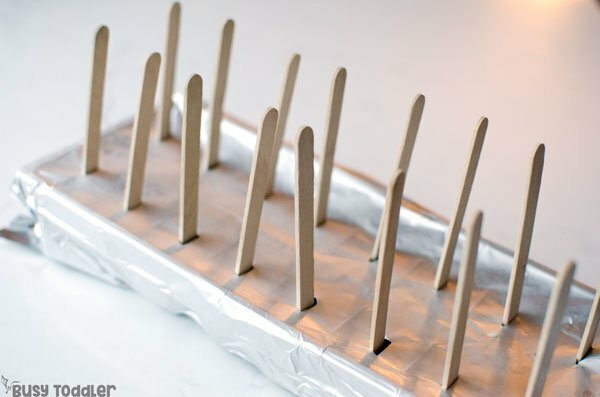 I took a knife and made popsicle stick sized holes in the tin foil all the way around the ice cube tray. 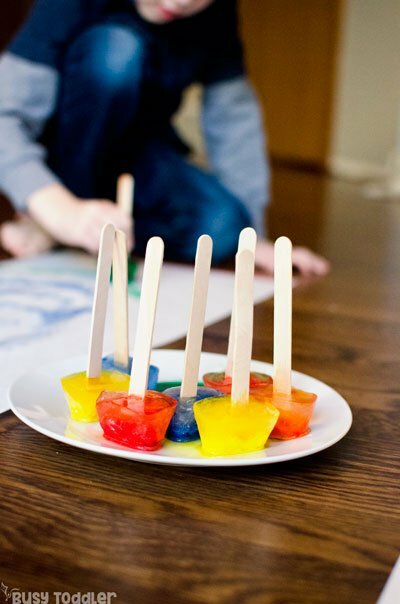 Then I set in the popsicle sticks – which were held upright and in place by (you guessed it) the foil. Pretty cool, huh? 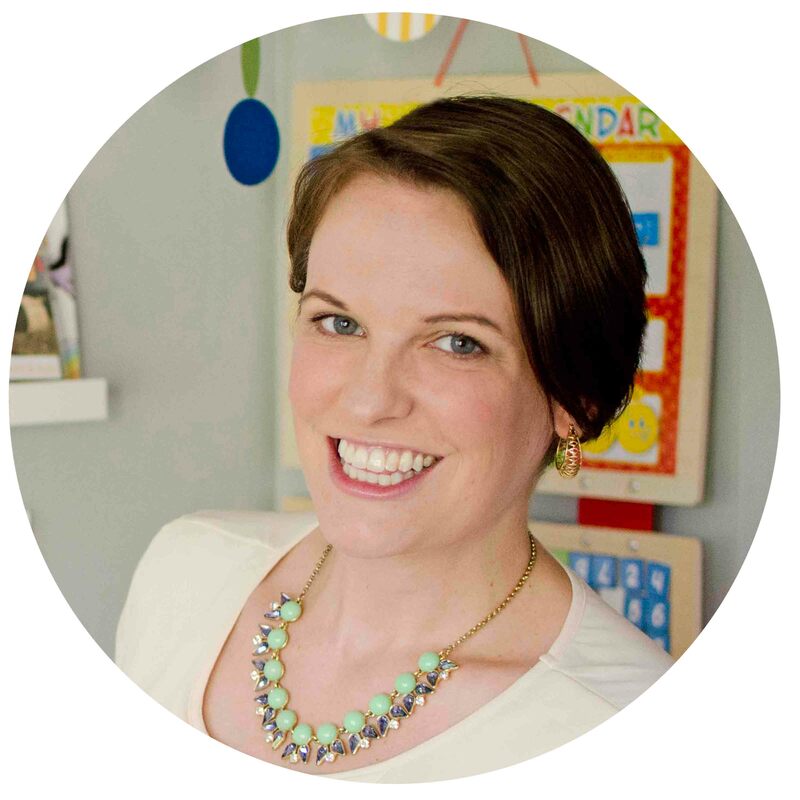 Picked up that little tip from my friend Kristina at Toddler Approved. The next morning, we had frozen paint to play with and it was glorious. I placed a set of frozen paint-sicles on a plate with just a hint of water to help the cube start melting. 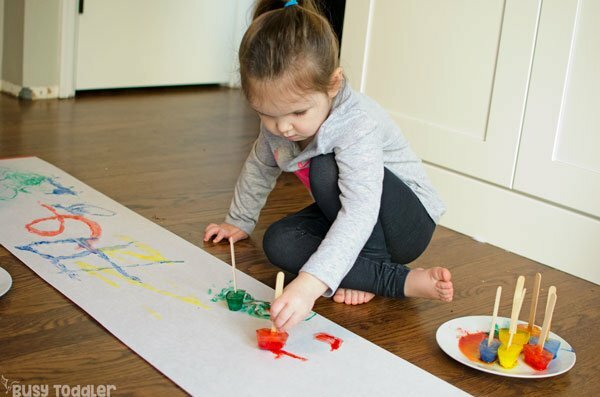 This activity is part of a week long series “A Very Toddler Winter Games” so this frozen paint project had a figure skating theme. My kids (ages 3 and 4.5) have seen figure skating on TV so they knew what I was talking about. We talked about the performance of the skaters, how they glide on the ice, and the way they move to music. 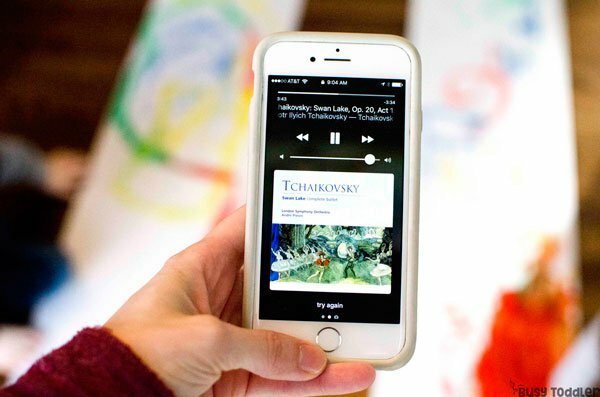 So I turned on some classical music while my kids painted. They instantly were more focused. 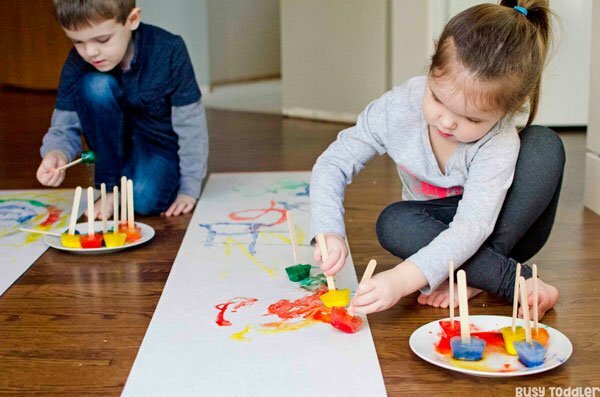 They followed the music and their paint strokes matched the tempo. They were so deep in thought – letting the music and the art come alive together. It was one of my favorite art moments we’ve ever had together. Try two things for me, please! 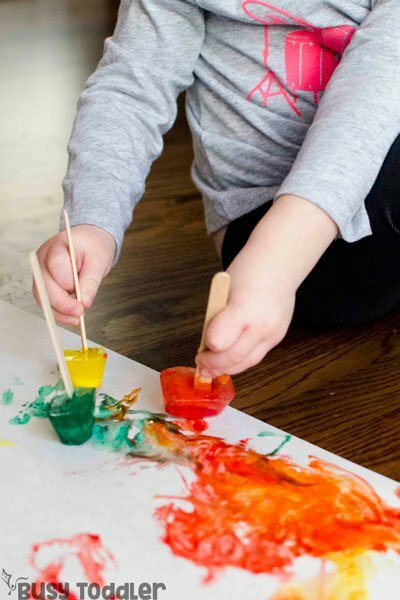 Definitely put frozen paint on your must-try list. It was fantastic to work with and a happy change of art pace from our “normal” materials. 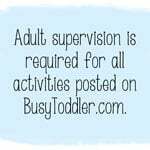 And definitely turn on some classical music next time your kids are doing art. It really does change the dynamics of the room, the art, and their engagement with the entire activity. It just doesn’t get much better. 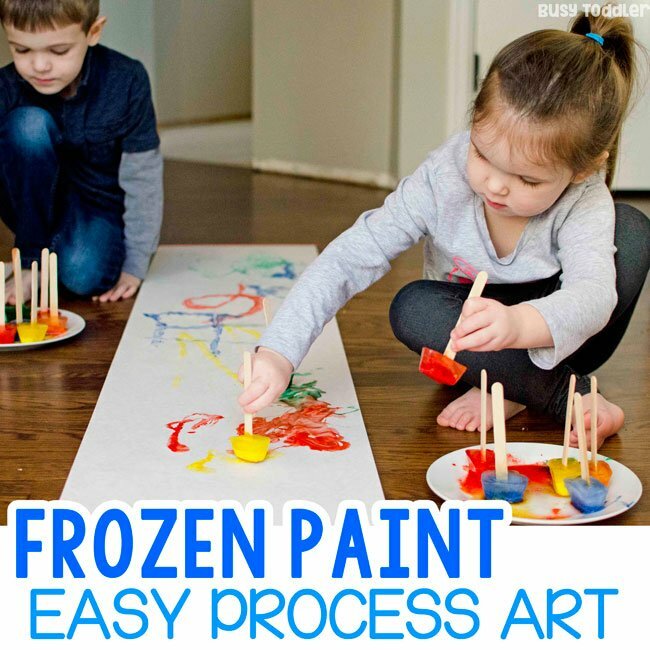 When will you try Frozen Paint process art?